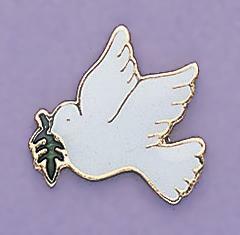 Dove of Peace Tac in gold with white enamel and green enamel olive branch. Gold Castle Charm Holder Pin. "Dreams Come True".